When it comes to baby food, there are a number of good, healthy options available. 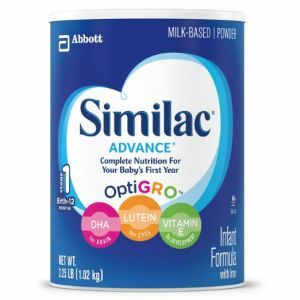 In this article, we compared two well known products, Enfamil vs. Similac. You’ve probably seen one or both of these products on the baby food aisle at the supermarket. But because there are so many varieties often placed in front of you in store shelves, it can be difficult to choose which ones to even start comparing. These two brands are well known because they’ve been around for a while. They’ve been proven to help in child development, plus they’re made by companies that have expertise in the baby products. Any parent knows that your baby’s health is your number one priority. Being a parent, especially if you’re the mother of the baby, your parental instinct is to take care of them, keep them safe and provide them with the proper nutrition through their developmental stages. For mothers, your maternal instincts will tell you to breastfeed you baby. Doing so has been shown to be very important especially during the early stages. However, after a while, your baby will grow and breast milk isn’t viable anymore. Or, for some mothers who aren’t capable of breastfeeding, then you need to consider baby formulas. The good news is that today’s baby formulas are very well researched. This means they contain the proper ingredients needed by infants. They also provide them with high quality ingredients so as not to cause any irritation or sensitivities. With so many different baby formulas out there it can be difficult to choose. Among them, two of the more prominent brand are Enfamil and Similac. Making these types of decisions is nerve wracking, especially for first time mothers. So, we’ve broken down the two products below by giving you an in-depth look at each of them. We compared these two baby formulas to see how they can help your baby’s growing needs. 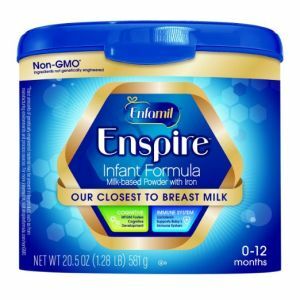 In this section, we compare the two products to see the difference between Enfamil and Similac. 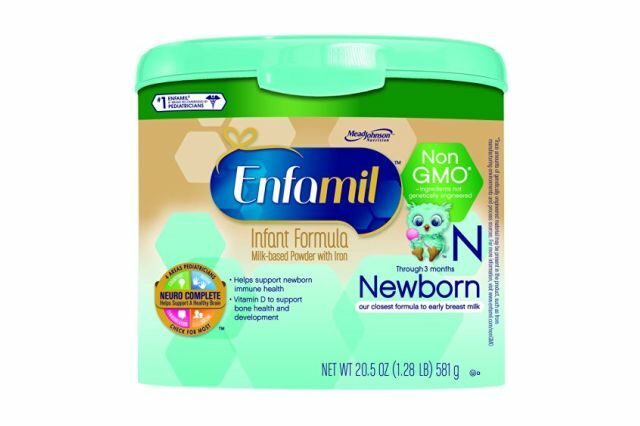 Enfamil is a brand of baby formula made by Mead Johnson. They have a wide range of baby formulas that cater to young children ranging from infant to 12 months old. The brand also have baby formulas that are specially made for mothers that can’t produce breast milk. 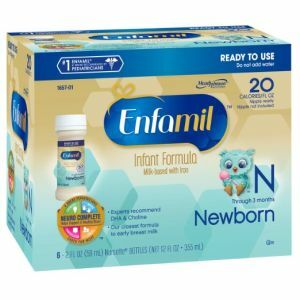 In addition, Enfamil products are also offered in formulations that include special ingredients that help with your child’s growth and health. Some of these include prebiotics, choline and DHA that’s designed to help your baby growing needs and help your child further develop his or her immune system. This is especially true with the introduction of prebiotics which is the good kind of bacteria, to your child’s digestive tract, where your child’s immune system is located. Like Enfamil, Similac boasts a wide range of baby formulas. All of these products are formulated to be rich in essential nutrients that will help with your baby’s growth. The brand prides itself of being the #1 brand of baby formula in the US. Similac baby formulas also contain a good amount of nutrient filled ingredients. Among them are DHA, Lutien, Vitamin E, Nucleotides, Antioxidants and prebiotics. These are all essential nutrients for your baby’s growth. Enfamil promotes a 60/40 whey-to-casein ratio. This means that it is similar to breast milk. Meanwhile, Similac claims a 48/52 whey-to-casein ratio. It claims that “casein is the best protein for a growing infant”. So, for this reason they have used a higher ratio of casein compared to Enfamil. When it comes to important supplements, Enfamil does contain more levels of DHA and AHA over Similac. You’ll find DHA and AHA in many formulations, however, not all. These two nutrients have been shown to play a crucial role on your babies’ neuro (brain) development. 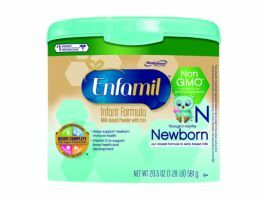 The Enfamil formula is manufactured using palm olein oil while on the other hand, Similac does not. One study suggest that including a fat blend (for example palm olein oil) can cause less frequent and firmer stools. This means less clean up for parents. Not to mention less messy cleaning up. On the other hand, Similac claims that their baby formula provides 50% more calcium absorption over Enfamil. 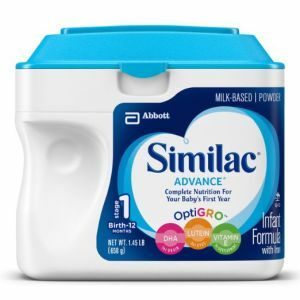 Similac also claims that switching to their Similac Isomil Advance formalation will reduce fussiness, gas and sit-ups in most babies. This means this type of baby formula is especifically made to ease the babies’ discomfort. Maybe one of the best things about Enfamil is that it’s cheaper than Similac. However, even though it is comes at with a cheaper price tag, we should keep in mind that Enfamil does give your baby more essential nutrients for your baby’s neurodevelopment. And, with prebiotics, Enfamil also provides essential nutrients to your baby’s immune system. It is also worth mentioning that in the end, it may still boil down to individual preference. As with many instances, what works for you may not necessarily work for another person. Additionally, some babies prefer the taste of one over the other. As a result, it won’t matter if one or the other product is slightly better if baby won’t eat it.